For last weekend’s annual Rhubarb Bake-Off at Kingfield Farmers Market, I was determined to again enter something that lets the rhubarb sing. (Sorry strawberries. You’re delicious, but you chew scenery better than the original Captain Kirk.) Our new favorite rhubarb sweet, rhubarb curd shortbread, served as a jumping off point for something more dainty for this year’s entry: the rhubarb curd tartlet. STEP 1: Put rhubarb, water and sugar in a small saucepan. Stirring often, heat over medium until the rhubarb is falling apart, with no whole pieces left. When the rhubarb mixture is completely cooked out, take off heat, puree with an immersion blender and set aside. STEP 2: The next step of the recipe calls for a double boiler, but don’t let not having one stop you. I use a medium pot with a few inches of water & my favorite Le Creuset saucier. Put a few inches of water over to boil. While your’e waiting for the water to boil, add all of the “step 2′ ingredients to the pan and whisk to combine. When water boils, reduce heat to simmer and put the pan on top of it. Continue whisking. When the sugar has completely dissolved, slowly add in the rhubarb mixture (one spoonful at a time) while you’re still whisking. 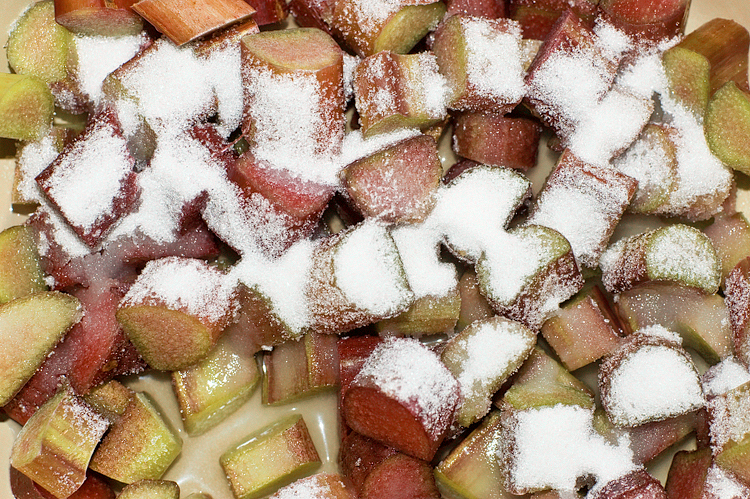 After all of the rhubarb is incorporated, keep whisking until the mixture begins to thicken (4 – 6 minutes). At that point, take it off the heat. keep whisking as it cools down a bit. Tranfer it to a fridge safe bowl and cover with plastic wrap (put the plastic wrap right against the curd, just like you would if you were making pudding and didn’t want the skin to form). NOTE ON CURDS & SIEVES… To sieve or not to sieve? At this point, the recipe calls for passing the mixture through a sieve to get a pudding-y texture. I’ll be honest. I haven’t used one since the first time I tried the recipe. It steals too much of the curd, and vexes me no end with how long it takes to get said curd through said sieve. I’ve been quite successfully at creating silky smooth curd with only the immersion blender for step 1 & obsessive whisking in step 2. But if it looks like your curd has lumps, and you have the patience for it, by all means sieve away. NOTE ABOUT THE PULLET EGGS: This spring we’ve been fortunate to source local pullet eggs (eggs from chickens that are under a year old and still getting the hang of the whole egg laying thing) from both Sunshine Harvest Farm & Waxwing Farm. To say that those little egg yolks pack an extra rich punch is an understatement. I will miss them when they’re gone. Cut the butter into tablespoon sized pieces and sit out at room temp for 15 minutes or so. Put the powdered sugar in the bowl of your stand mixer. Add the butter and toss them in the powerdered sugar until they are evenly coated. Using the paddle attachment, combine the sugar and butter (medium speed), until the sugar and butter are completely incorporated. Scrape with the bowl and add the egg yolk. Mix again until you can’t see the yolk any longer. Scrape down the bowl again. Add half of the flour, and mix until the dough is crumbly. Add the remaining flour, then the cream. Mix until the dough forms into a sticky mass. After your two hours are up, take the crust dough out and roll it into a 10″ log. Cut it in half, rewrap and rechill for 15 minutes. Working with one piece at a time, put the dough log onto a floured worksurface circle side down. Squish it down, then roll it out to a 10″square. Using a cookie cutter (or in my case, a wine glass), cut out circles a bit bigger than your mini muffin cup holes. Poke a few fork holes in each circle, then gently form it into a muffin cups (if you have one, the mini tart shaper works really well). After you’ve cut as many circles as you can from that piece, gather the scraps, mash them together, refrigerate for 10 or 15 minutes (until they are cooled through enough to roll out again), and start all over again. Continue until all the muffin cups are filled. When the muffin pan is full, refrigerate for at least 15 minutes. Bake for 8 -10 minutes (or until the tart cups are lightly browned). this recipe will make much more than you need as a flourish for the tarts. luckily, it goes with everything from Martha’s breakfast blintzes to morning toast with cheese. Melt the butter in large saute pan (medium heat), then sprinkle the sugar over the butter and cook until the sugar has dissolved and starts to brown. Add the rhubarb and stir to coat the rhbarb evenly with the caramelized sugar. Continue stirring and cook until the rhubarb is tender and starting to fall apart. Add the brandy to pan, stir, and cook until liquid comes to a boil, about 30 seconds. At this point, taste and feel your way forward with the honey. Also, as we wanted a family friendly caramelized rhubarb, we cooked longer so the essence of the brandy was there without the alcoholic bite. When the rhubarb sauce is to your liking, remove it from the heat, and transfer it to a small bowl. Set the bowl into the ice bath to prevent it from cooking further. Using a pastry bag, pipe the cold curd into the room temp shells and top with as big or small a dollop of the caramelized rhubarb sauce as you’d like. It’s been a little quiet around here in part because we’ve been prepping for EJ’s trip to Senegal. A whirlwind two weeks abroad for him through USAID & the National Cooperative Business Association’s CLUSA program where he puts his grassroots organizing and outreach experience to work helping the farmers there engaged in conservation farming. He’s halfway through the trip now but with much left to accomplish in the coming days. This is probably my favorite of his week one dispatches from the field. Simply put, one of the most extraordinary days of my life. After breakfast, and after having accidentally put instant coffee in my yogurt mistaking it for brown sugar, I checked out and walked the few short blocks to the CLUSA offices. About an hour later, and having a migraine begin to emerge, we were picked up by the Wula Nafaa truck and taken to the their offices. We made a quick stop at the pharmacy were I got some sort of tablet. Not knowing it was for dissolving into water, I popped the giant tablet into my mouth and immediately felt it dissolving on my tongue. For the next few minutes I drank as much water as I could until it was gone. The headache never totally went away, but it was pushed way into the background during the days events. 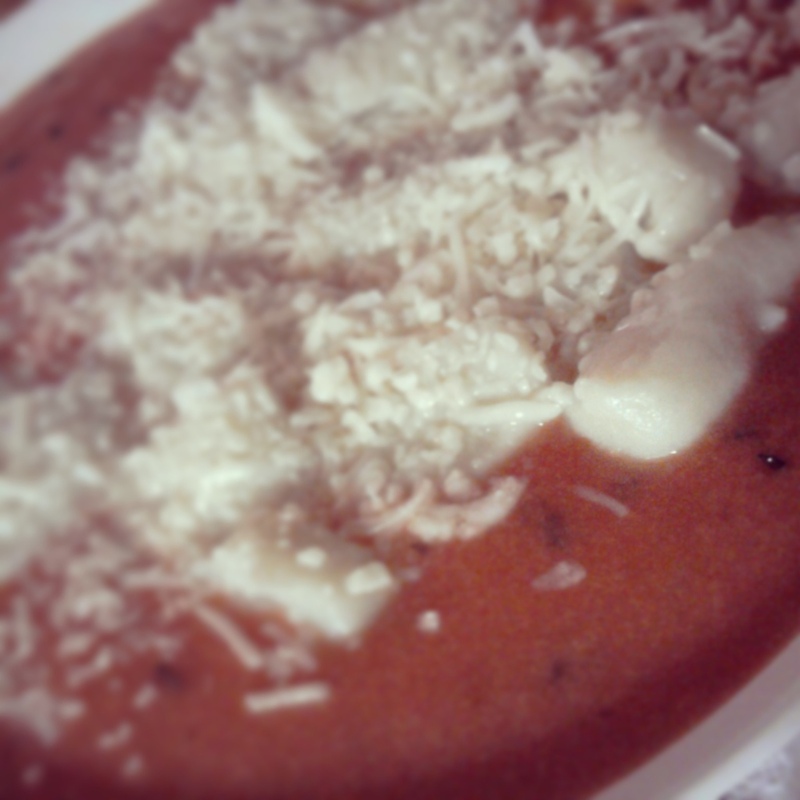 Homemade tomato soup & gnocchi with grated asiago. Good comfort food for a February night. A cold January night calls for a warm plate of baked Irish rice pudding. Hat tip to @ModernFarmette. Line a jelly roll baking sheet with parchment paper. Separate out the seeds from the innards of the roasting pumpkins you just prepped. (I’m partial to the two bowl method of rinsing seeds. Put the seed filled innards in a bowl and fill with water. The seeds will more or less float to the top (you may need to squeeze some free of their pumpkin entrails. If you have a kitchen spider skimmer – the utensil, not the arachnid – use that to skim up the seeds. The pumpkin guts will stick to the mesh, allowing you to easily transfer them to the second bowl. When you’ve got all of the seeds transferred to bowl 2, dump the guts in your mulch bin (or maybe feed it to the worms you are dying to adopt! ), and rinse the bowl out. Fill bowl 2 with water and skim the seeds back into bowl 1 to make sure you’ve ditched all the stringy pumpkin. Spread the seeds out evenly on the baking sheet. Let the seeds cool while you assemble the spices. Put 5 tablespoons sugar, salt, cumin, cinnamon and ginger into a medium sized bowl. Heat peanut oil in a large skillet over high heat. Add pumpkin seeds and the remaining 3 tablespoons of sugar. Cook until sugar melts and pumpkin seeds begin to caramelize (a minute or so). Transfer the seeds to the bowl with spices. 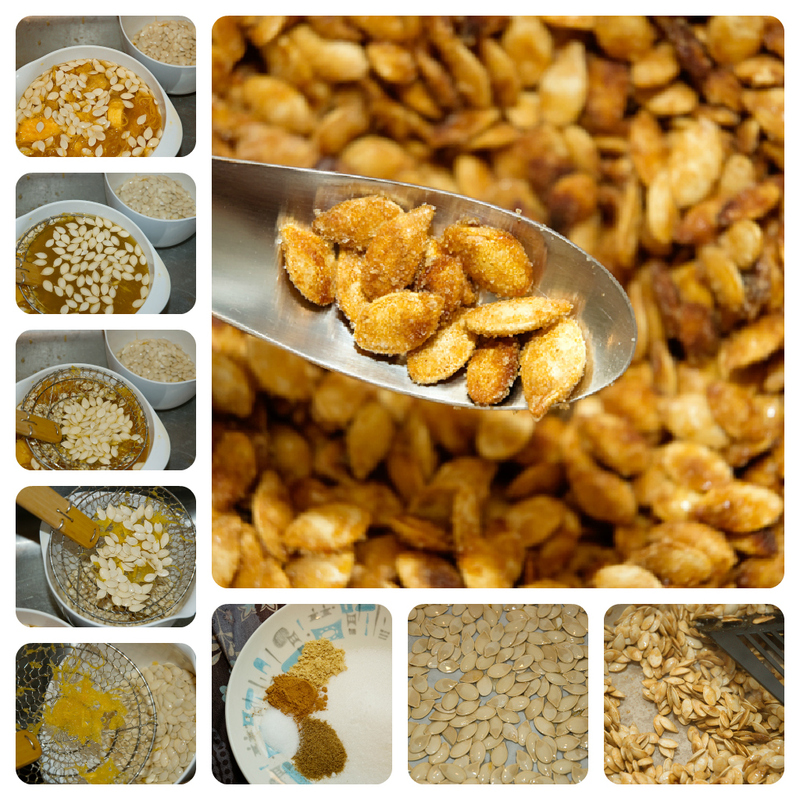 Stir well to coat all of the seeds with the sugar and spice mixture. Resist the temptation to pop one in your mouth until they’ve cooled. * Bonus points to you if you now snicker (or roll your eyes) at the concept of someone having a binder. No matter your political stripe, I love you a bit more for paying attention to current events. Yesterday started out miserably. Well, except for the part where I get to wake up next to my soul mate. 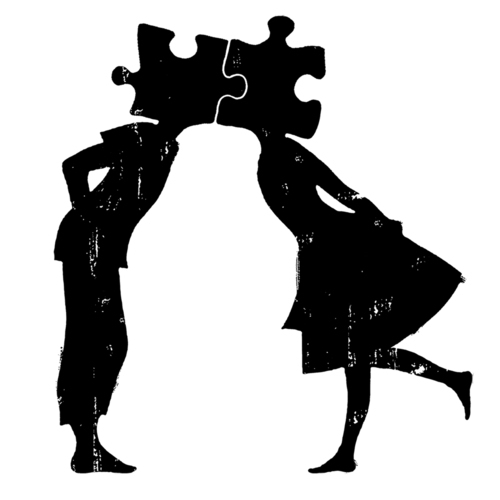 But after she left for work and I began mine, I was constantly reminded of the change in my professional fortune over the past few years. Things began to look up with a webinar to sharpen my grant writing. 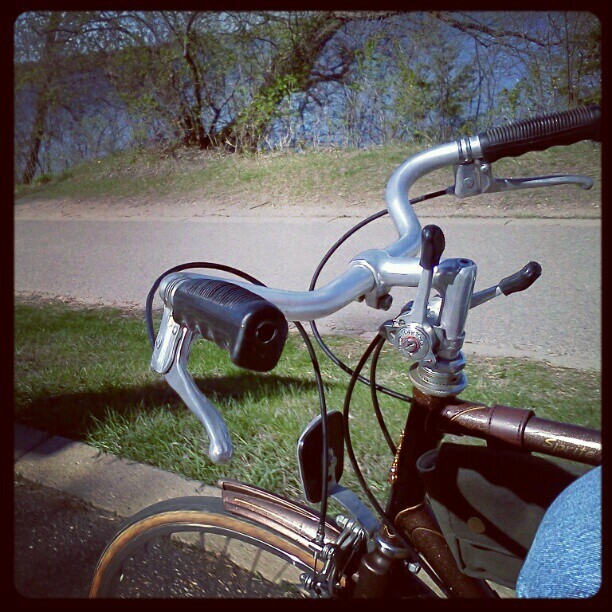 Things improved further when I hopped on the bike for the 10 mile ride to the offices of the organization on whose board I sit. These meetings invigorate me. It is such a worthwhile organization that does so much good and is so unsung. A one hour Development Committee meeting and then the two hour Board meeting. I am humbled to be in the same room as my fellow board members. Every one of them committed to the cause and willing to truly work. Finally, the meetings ended, I ride the 10 miles home in the dark. I love this too; riding at night exercises all of the senses — keeps them all alert. Like grapes on the vine that develop more complexity when stressed a bit, I arrive home feeling revitalized. It helps too that the first thing I see when I walk in is the aforementioned soul mate ensconced on the couch being creative. The rest of the evening is spent together on that couch enagaged in the busy work we both need to do, whilst occasionally stealing glances and smiles at each other and holding hands when one isn’t needed for our chores. That was the arc of the day. I am thankful that it ended on a higher plane than where it began. Sift together flour, baking powder, cinnamon, ginger & nutmeg; set aside. 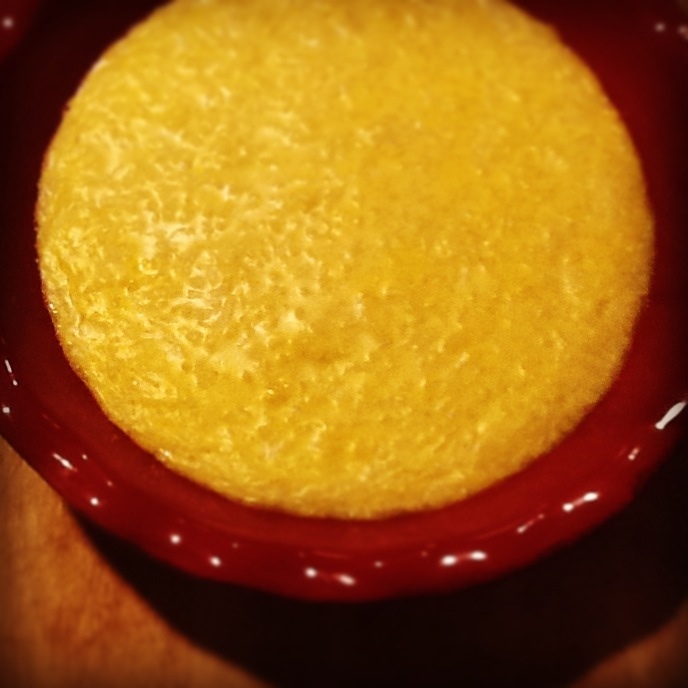 Beat eggs for at least 5 minutes (they should be light yellow and frothy). 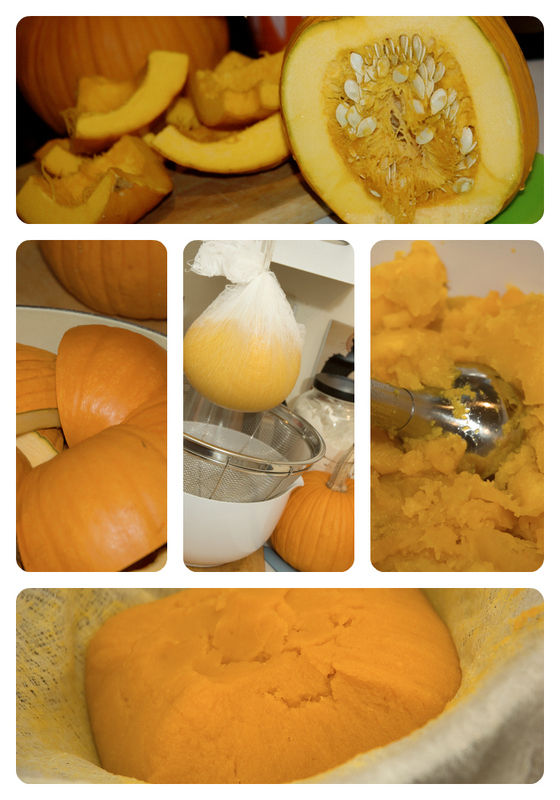 Add pumpkin puree, lemon juice and sugar to the eggs & beat until combined. Add dry ingredients & beat until combined (scrape down the sides of your bowl well). 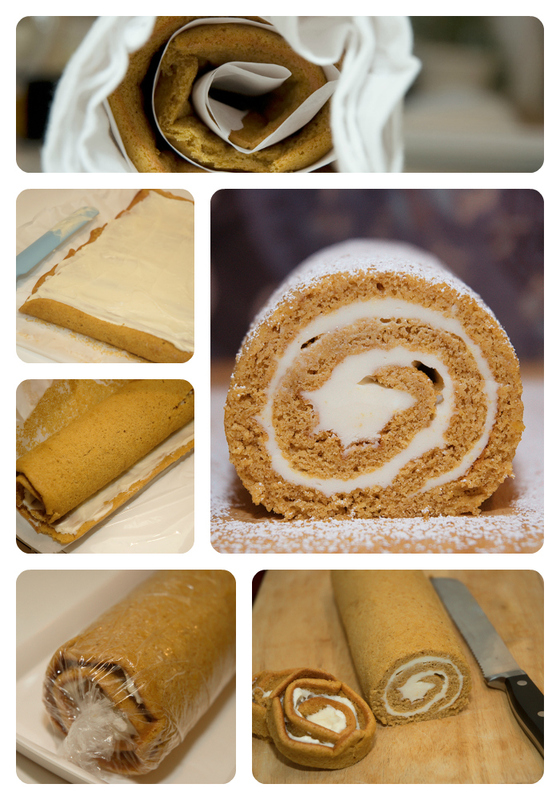 Spread the batter evenly in a jelly roll pan lined with silpat or parchment paper. When the cake is done, flip it upside down & turn it out onto another piece of parchment paper. Remove the parchment from the exposed ‘bottom’ of the cake. Roll the cake up starting on the short side (I use a clean dish towel to wrap it in after it’s rolled into a log to help it keep that shape as it’s cooling). While the cake is cooling, make the frosting by whipping together the cream cheese & butter, then adding the vanilla & powdered sugar. When the cake is cool, carefully unroll it and spread the cream cheese filling evenly. Roll the frostinged cake back up, and wrap it in plastic wrap. Freeze overnight (the recipes differ here. many said it was sufficient to refrigerate for an hour. we much preferred it after being frozen). To serve, unwrap & slice off the ends. Dust with powdered sugar. * And now, a note about our feature ingredient, PUMPKIN! All of the recipes I saw called for canned pumpkin. I’m sure canned pumpkin would make a fine version of this roll. I’d be remiss, however, if I didn’t put in a plug for roasting your own pumpkin (especially since one of the things that was praised over the weekend was the unmistakeable pumpkin taste). It’s incredibly easy, if a bit time consuming. It makes the house smell like the essence of autumn warmth, and yields MUCH better pumpkin flavor. (this can perhaps be tied to a trend of canned pumpkin being all kinds of squash other than actual pumpkin.) We covered roasting pumpkin last year, but it bears repeating. Combine pumpkin juice, sugar and spices in a saucepan. Heat over medium heat until boiling. boil for 1 minute. Take off heat and cool. 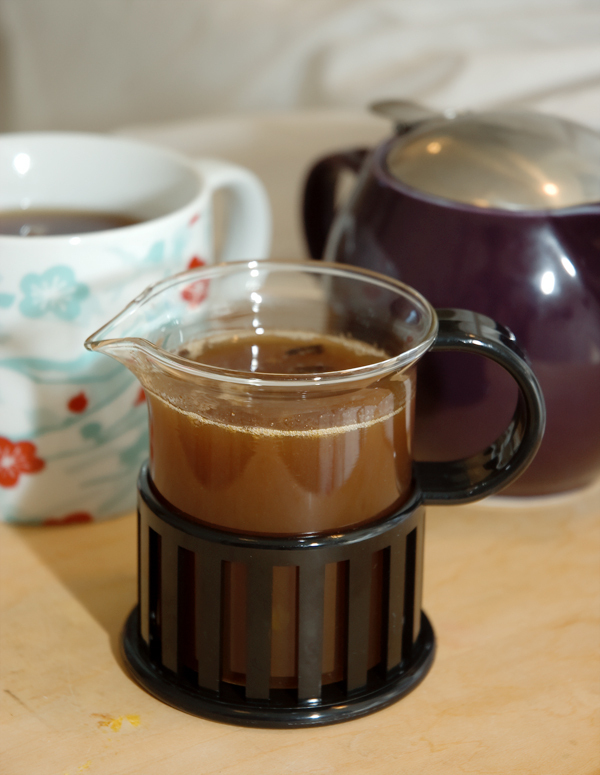 Use to sweeten your hot caffeinated drink of choice. (I’m sure it would work for coffee, but so far we’ve only used it in tea). What to do with the leftover pumpkin, you ask? Freeze in ziplocks in increments of your favorite pumpkin recipes for use throughout the winter!